On August 5 at approximately 1:30 a.m., Calcasieu Parish Sheriff’s deputies were dispatched to the area of Big Lake Road and Lincoln Road in Lake Charles in reference to a single vehicle crash. Upon arrival deputies observed a truck in the ditch on the west side of the roadway. When deputies spoke with the driver, Nolberto A. Dehoyos, 23, Del Rio, Texas, they detected an odor of alcohol emitting from his person along with bloodshot eyes and unsteady balance. While speaking with deputies Dehoyos stated he drank approximately 5 or 6 alcoholic beverages, and deputies also located an open alcoholic beverage inside his truck. Dehoyos refused to perform a standard field sobriety test. He was arrested and transferred to the Calcasieu Parish Sheriff’s Office to take a breath intoxilyzer test; which he also refused. 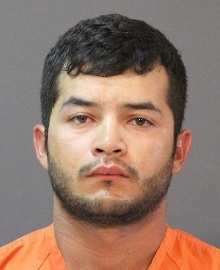 Dehoyos, who has two prior DWI arrests, was booked into the Calcasieu Correctional Center and charged with DWI 3rd ; improper lane use; and open container. Judge Guy Bradberry set his bond at $28,000 with a special condition being he cannot drive without an ignition interlock device. CPSO Sr. Cpl. Sabrina Benoit was the arresting deputy on this case. On August 5 at approximately 7:00 a.m., a Calcasieu Parish Sheriff’s deputy was patrolling the area of N. General Wainwright and General Arnold in Lake Charles when he observed a car stopped in the middle of the intersection. 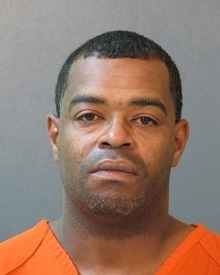 The deputy approached the car and observed the engine was still running and the driver, Gerald D. Carrier, 41, 815 N. Prater Street, Lake Charles, was sleeping with his foot on the brake. When the deputy spoke with Carrier outside of his car, he detected an odor of alcohol emitting from his person along with slurred speech and unsteady balance. Carrier failed to complete standard field sobriety testing and was arrested and transferred to the Calcasieu Parish Sheriff’s Office, where a breath intoxilyzer test revealed he was over the legal limit. Carrier, who has five prior DWI arrests from 2012-2014, was booked into the Calcasieu Correctional Center and charged with DWI 4th and subsequent offenses; operating a vehicle while under suspension; and obstruction of public passage. His bond is still pending. CPSO Sgt. Chad Quaal was the arresting deputy on this case.